The so-called pozzolanic activity of waste catalysts from fluidised cracking was investigated. For this purpose a series of cement mixtures with this waste material were prepared and subsequently the pastes and mortars were produced. Waste aluminosilicate catalyst was used both in raw form and after grinding in a ball mill for 60 min. The hydrating mixtures were subjected to the calorimetric measurements in a non-isothermal/non-adiabatic calorimeter. 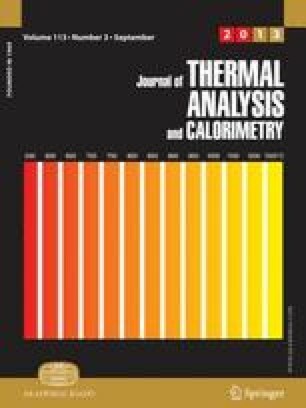 After an appointed time of curing the hydrating materials were studied by thermal analysis methods (TG, DTG, DTA). The pozzolanic activity factors were determined, basing on the compressive strength data. The increased activity of cement — ground pozzolana systems has been thus proved. An accelerated Ca(OH)2 consumption as well as higher strength were found for materials containing ground waste catalyst, as compared to those, mixed with the raw one. Thus grinding was also proved to result in mechanical activation in the case of the waste catalyst from fluidised cracking.